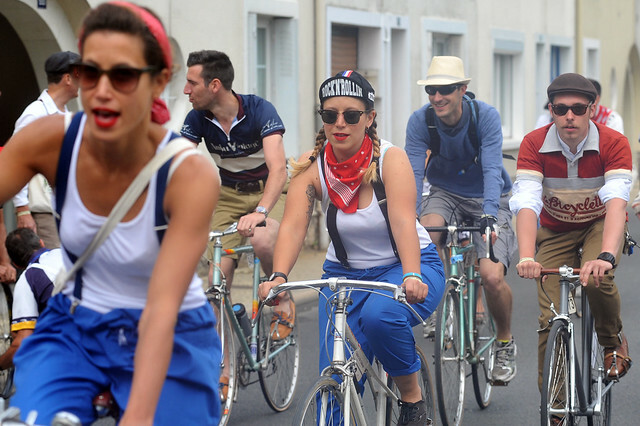 The very best of vintage bike chic must be in France. 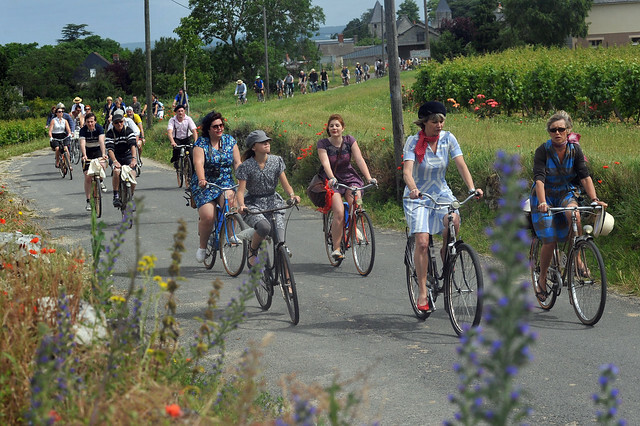 Specifically the Anjou Vélo Vintage: a throwback ride in the spirit of the Tweed Run or L'Eroica. 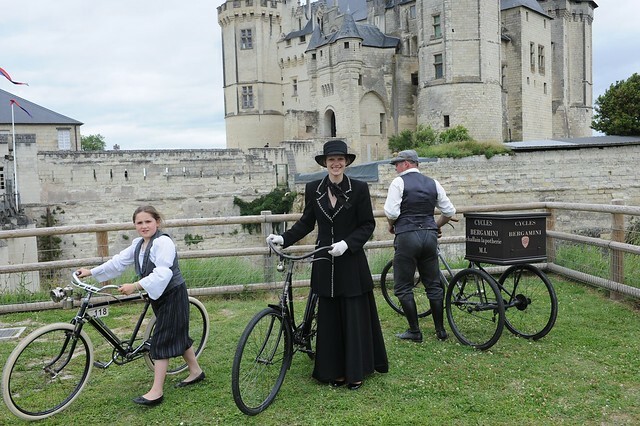 For two days at the end of June, enthusiasts gather in Saumur, in the Loire Valley. 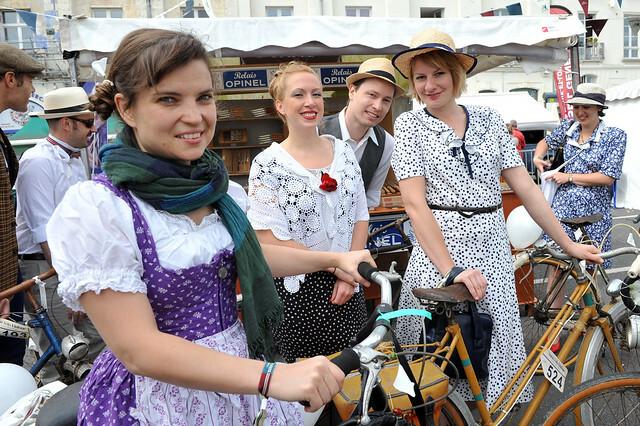 A veritable vintage village pops up. 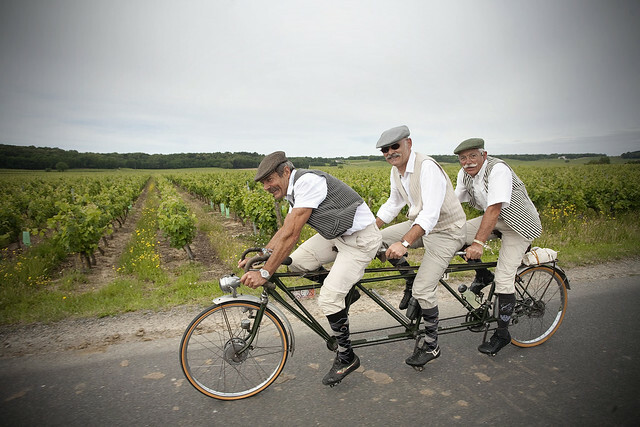 Throughout the weekend there are wine-tastings, picnics, even a jazz soirée. The big ride is on the second day. 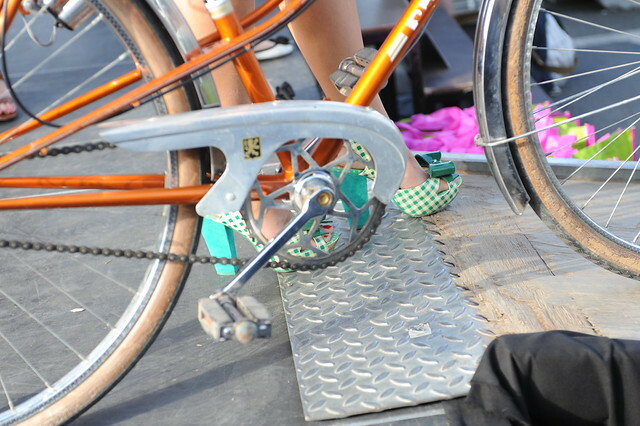 To maintain the proper spirit, only pre-1987 bicycles are allowed on the ride. 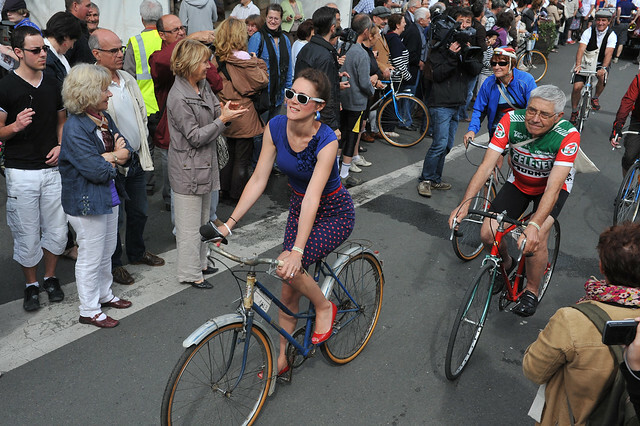 Most riders also choose to wear vintage clothing. The favored style is somewhere around the 40s, give or take a decade. 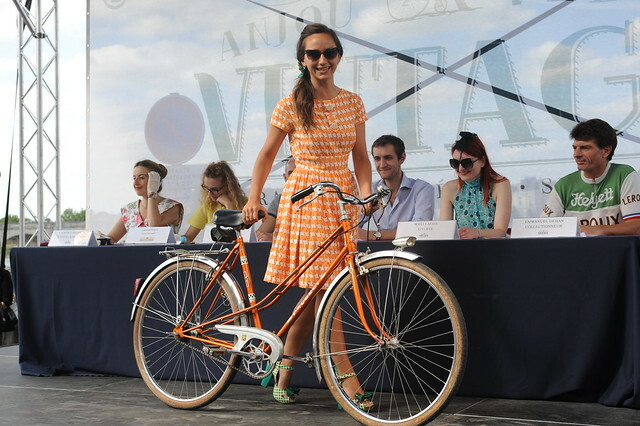 Somehow they even fit in a beauty pageant for men, women, and bicycles. 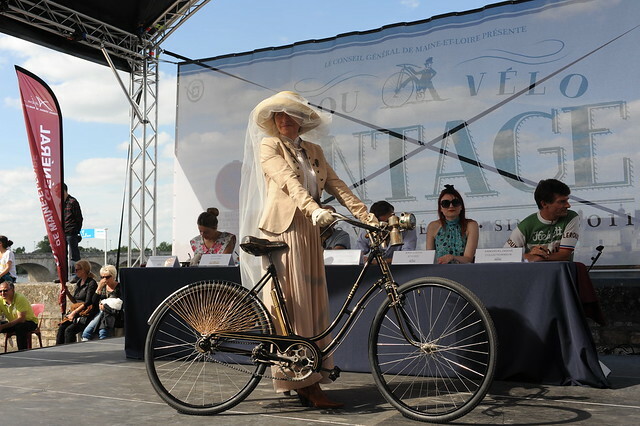 Contestants are judged on rarity, design, beauty, glamour, coherence between rider and bike, and attitude. This time-honoring tradition only began in 2011. 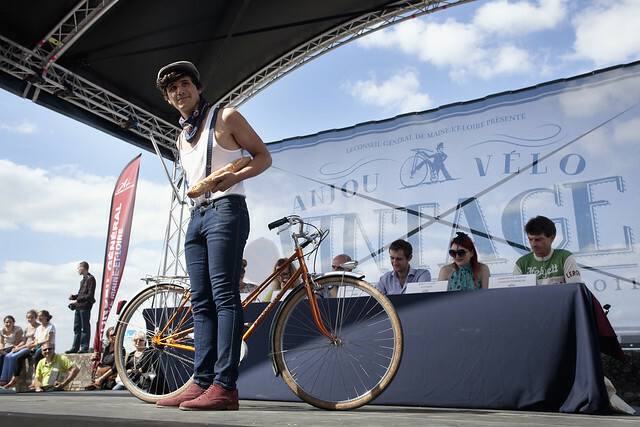 But the Anjou Vélo Vintage has exploded in popularity. Last year there were 1300 participants.